Very rare Mandarin Time and Magik Trilogy collecting Lords of Time, Red Moon, and The Price of Magik. 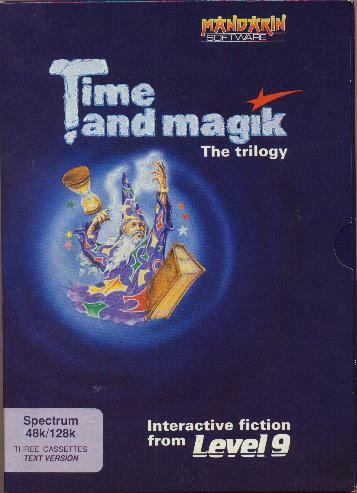 The European equivalent of the Time and Magik DataSoft package. Funny eBay story with this one: When it was all over, the auction's closing time was listed as the exact same time as my final bid... down to the SECOND. One of the greatest snipes I've ever experienced!